Run in America! 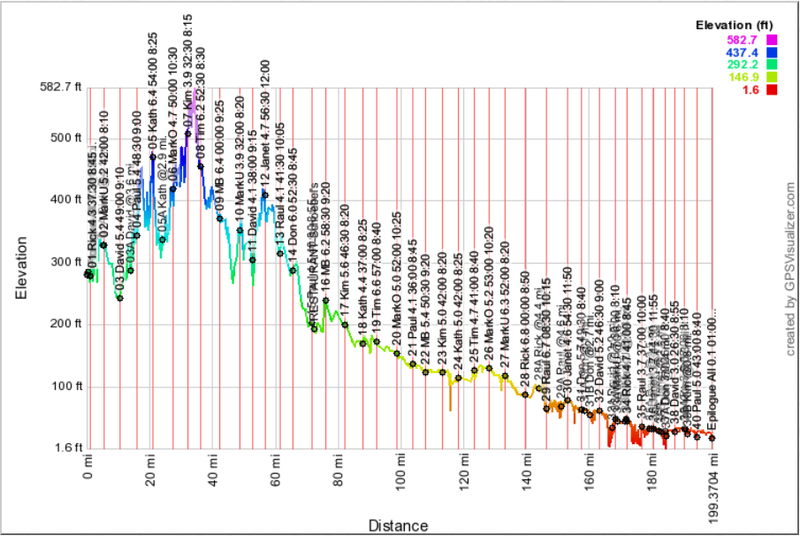 : Plans for the forthcoming Texas Independence Relay! Plans for the forthcoming Texas Independence Relay! Returning again in March I am looking forward to running the Texas Independence Relay (TIR) with team "DOGS" for my sixth (the team's seventh) consecutive year. The TIR is consistently well managed, and I'm blessed to have an excellent group of friends to run this relay race with. It is always tremendously fun, and I recommend it highly to Houston-area runners eager for a new adventure. In the past several months our team has overcome many significant personnel challenges, resulting from the unfortunate injury or relocation amongst four of last year's twelve DOGS. Fortunately, we were successful at finding strong replacement runners whom we've known for years, so we're all looking forward to another fantastic experience. Here for a fun view of our ~36-hour trek compressed to 5.5-minutes! What a jokester. Referring to me as a "strong" replacement runner!